Join us for the Build Up the Body Capital Appeal as we plan for funding for the Immanuel Accessibility Enhancement Project! We are excited as we look for financial support over the next 3 years to add an elevator, ADA Accessible bathrooms and much more to make our building more welcoming and accessible to do our mission and ministry. 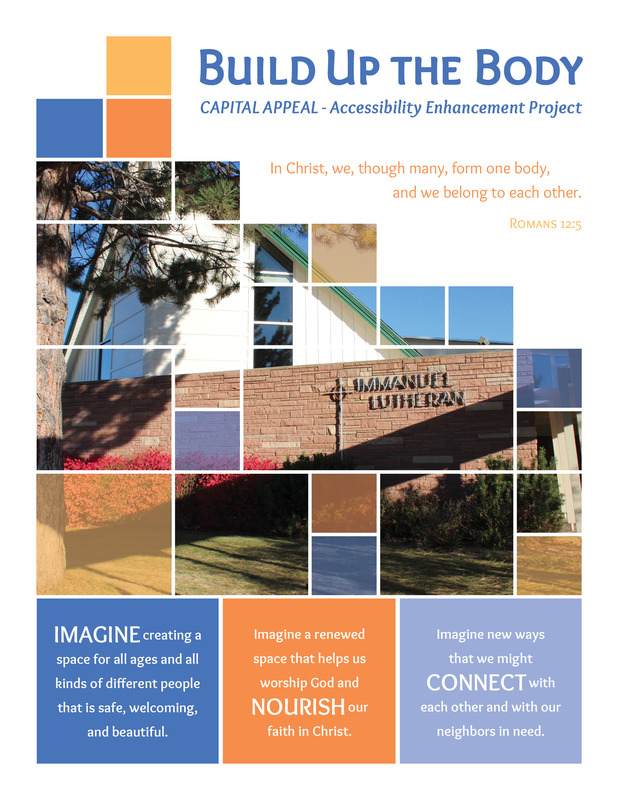 Check out our webpage http://imluchurch.org/build/ for more information about the Capital Appeal and how you can be involved!